Capacitors store and release electric current. Could phenomena at disparate scales conform to that principle? Previous Picture of the Day articles have discussed the electric field that builds up in and around thunderstorms. Since Earth is electrically charged, it maintains an electric field at its surface of between 50 and 200 volts per meter. In other words, for every meter of altitude the voltage increases by that measure. Electromagnetic fields beneath thunderstorms increase to 10,000 volts per meter because the storms and the Earth act like the plates of a capacitor, storing electrical energy from the surrounding environment. A "wind" of charged particles blows toward the developing storm, which could be construed as an electric current flowing into the base of the clouds. The surrounding air is pulled along with the current flow, creating powerful updrafts that can occasionally rise into the stratosphere. Once the storm reaches a critical threshold, the stored energy is released as a lightning bolt. According to a recent press release, thunderstorms act like "particle accelerators," launching massive discharges upward to space, as well as downward to ground. Known as red sprites and blue jets, they are not easy to detect since they last just a few milliseconds and are at high altitude. Blue jets are distinct from sprites, since they propagate upward in narrow cones that disappear at an altitude of about 50 kilometers. They are also more powerful because the electric discharges are confined within a smaller spatial volume. Geophysicists are beginning to realize that sprites and jets are part of every moderate to large storm system and are an essential component in Earth's electric circuit. It has been proposed by Electric Universe theorists that what is observed on other planets, within galaxies, or in free space should be used as examples of what can occur on Earth, as opposed to using our planet to model the Universe. We are part of a cosmic "ecology" that maintains a coherent physical aspect, so that aspect ought to apply here. Therefore, what takes place in thunderstorms on Earth is most likely a smaller version of large scale phenomena. The European Space Agency's (ESA) International Gamma-Ray Astrophysics Laboratory (INTEGRAL), was launched from the Baikanor Cosmodrome on October 17, 2002. It is the first space-based observatory that can be used to simultaneously study objects in gamma ray, X-ray, and visible light. One of INTEGRAL's major finds was the observation in 2008 of an extreme X-ray source from the center of the Ophiuchus galaxy cluster. As a press release from the period states, the X-ray emissions are far too intense to be generated from hot gas in the cluster, so "shockwaves must be rippling through the gas." ESA astrophysicists, faced with such an anomaly, suggested that the shockwaves had "turned the galaxy into a giant particle accelerator." 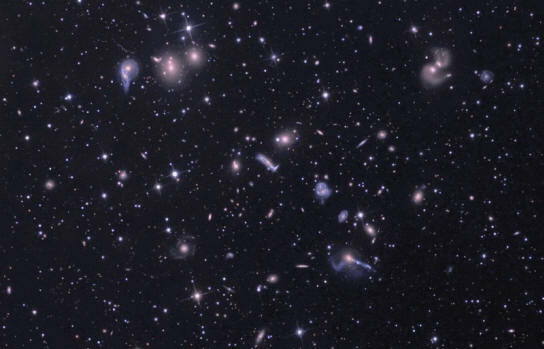 The temperature of gases in the cluster core has been measured at 100 million Kelvin. Researchers think that electrons accelerated by shockwaves traveling through the cluster gas generate the intense X-rays. 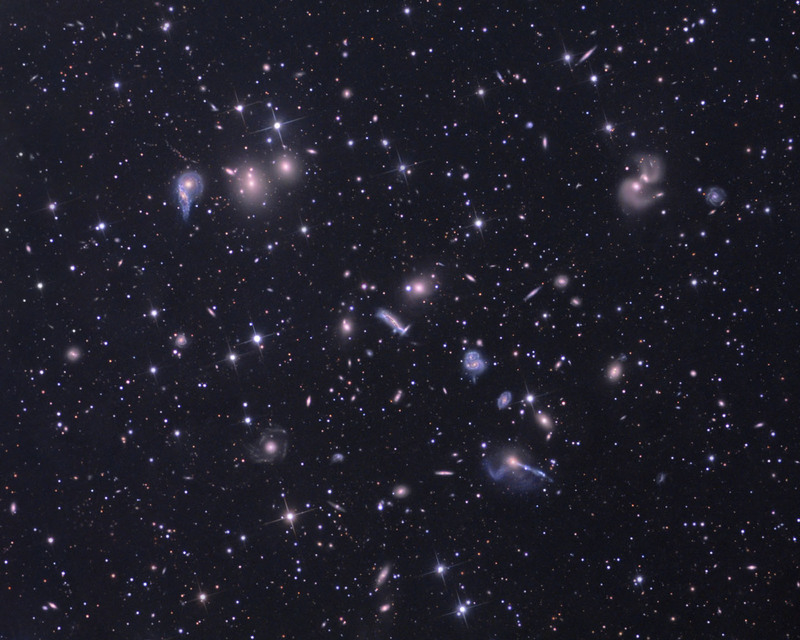 The shockwaves are said to be created when two galaxy clusters "collide and merge." By referring to material with a temperature of 100 million Kelvin as "hot gas," ESA scientists are highlighting their complete ignorance of plasma and its behavior. No atom can remain intact at such temperatures: electrons are stripped from the nuclei and powerful electric fields develop. The gaseous matter becomes plasma, capable of conducting electricity and forming double layers. Nobel laureate Hannes Alfvén maintained that double layers are a unique celestial object, and that intense X-ray and gamma ray sources could be due to double layers "shorting out" and exploding. Double layers can accelerate charged particles up to enormous energies in a variety of frequencies, forming "plasma beams." If the charge density becomes excessive, they explode, drawing electricity from the entire circuit and discharging more energy than was contained in the double layer. In conclusion, so-called "particle accelerators" in thunderstorms and galaxy clusters are most likely manifestations of Birkeland currents pouring electricity into double layers. Sprites and jets exhibit filamentary structure, as does terrestrial lightning. Streamers of plasma can be seen flowing through galaxy clusters. In time, it may become evident that the scaleable nature of the plasma Universe reveals itself through electrical events both large and small.